Front Flap: "Sputnik silently circles in the skies above the fabled cities of the United States as danger lurks in the Earth's darkest corners. In Gotham, the shadowy vigilante known as the Batman haunts Gotham's streets...and the police are just as afraid of this Dark Knight as the city's criminals are. In Metropolis, the notorious Lex Luthor is leveraging international tensions to build LuthorCor into a military industrial empire, competing against his business rival Wayne Industries, which is run by Gotham's enigmatic millionaire, Bruce Wayne. Luthor's activities have raised the interest of Daily Planet reporter Lois Lane, who is beginning to realize that Luthor may stop at nothing to achieve success. At the same time, Clark Kent and Jimmy Olsen are investigating the rumored crash of a flying saucer. Clark is desperate to know if there may be other lost interplanetary visitors on Earth secretly living amongh them--visitors like himself. When Batman's and Superman's paths cross, their lives change, and history will never be the same. 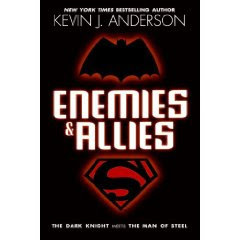 "Enemies and Allies" by Kevin J. Anderson is a fun read about two superheroes - Batman and Superman. Neither one trusts each other which makes it interesting since they both are trying to protect the people of the world. In Gotham, the Dark Knight tries to stay in the shadows and under the radar of the police. Meanwhile in Metropolis Superman operates by day and delivers the bad guys right to the police. He is considered the hero while Batman is considered a dangerous vigilante. The two must learn to trust each other when Lex Luthor threatens the world by engineering a nuclear threat in the guise of aliens, so he can come in and save the day. 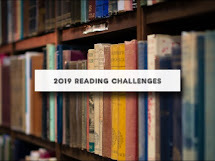 Even though "Enemies and Allies" is written for adults, the book is excellent for any age level. It doesn't have any objectionable language or material that you would need to shield your child from and it is easy to read. The story reminded me of the comic book superhero stories, just without the pictures. Thank you to Bostick Communications and Pam and Wendy of William Morrow for supplying me with a review copy of "Enemies and Allies." It is very much appreciated. And thank you to Kevin Anderson for writing such an entertaining and engaging story. "It is fun to go back to a world where Kryptonite is rare, instead of available on every street corner, in every corner you want. (I'm looking at you Smallville.) And, as I said before, the Cold War will always be a good time for these two to strut their stuff. There's detection, action, corporate struggles, and the American Way." "But Anderson creates a believable story that comic book fans will enjoy, but that is also accessible by people who don't read comics at all. In fact, there is some danger that Enemies & Allies will become a gateway drug that introduces people to the world of comic books -- or reintroduces those who left comics behind years ago. An outstanding plot, excellent characterization (including some great cameos that comics fans will appreciate), and a gripping pace all make this book a must read." "While this is mostly a Superman story with Batman thrown in (there's not a whole lot of Gotham City involvement regarding any gallery of rogues or supporting Batman characters other than Alfred), it's still a wholly enjoyable adventure, uncluttered, straightforward, and with more than enough time dedicated to each character to satisfy the fan contingent. I'm already hoping that William Morrow and Harper Collins extend Anderson's contract to further develop this vision of the characters and expand the DC Universe into this fictional new frontier." Thank you for this wonderful review Robin. It is a book I would never have considered before. It looks an excellent holiday read, with the excuse of prereading it for our children. I have a feeling my husband might disappear off with it too.